FOX News Paul Hannity tries to corner Ron Paul (R-Texas) in the post debate wrap up in in Sioux City, Iowa at the Iowa Caucus late last week. Hannity insinuates that Ron Paul is a racist because of supposed old newsletters that quoted him saying something racially charged. Paul denies any wrongdoing or writing of a racial epithet. 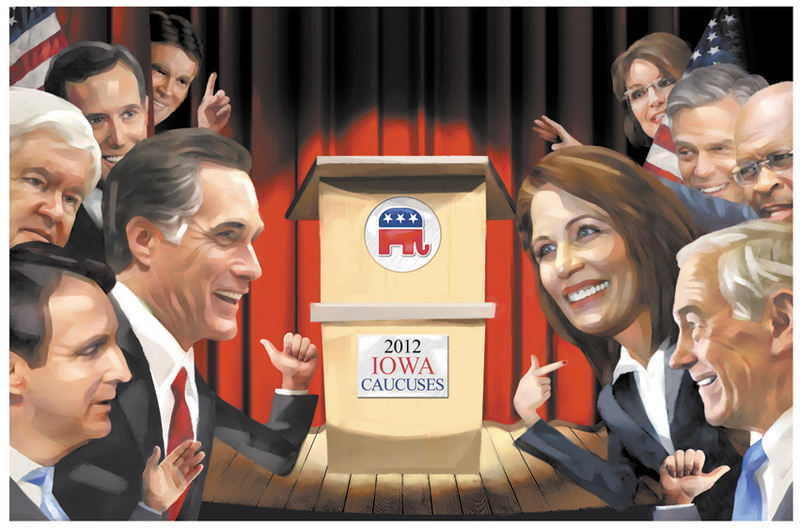 The revolving door politician, policy flip flopper and no I don’t mean Mitt Romney (R-Mass.) but Newt Gingrich (R-Georgia) is falling in the national polls with his many skeletons in the closet dragging him down. 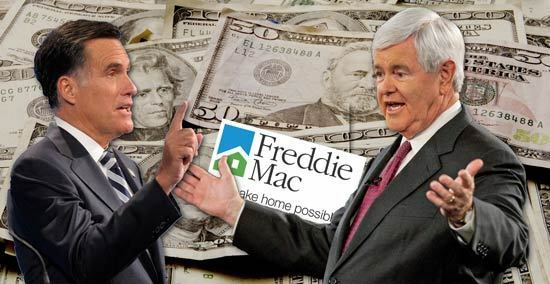 Mitt Romney and Newt Gingrich both payed politicians from Freddie and Fannie Mac. One such skeleton is a 1.6 million dollar payout from Freddie and Fannie Mac in the 2008 recession/ sub-prime mortgage real estate collapse. Ron Paul has taken the lead in Iowa and some political pundits say a win by Ron Paul in Iowa would tarnish the poise of the caucuses. In doing so it would favor fringe candidates. Things will change if momentum helps Dr. Ron Paul win in New Hampshire as well.